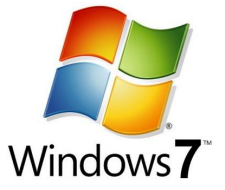 When you are on move and carrying important data in your flash drive, then you should have the portable version of essential software like Anti-Virus, Office, Password Manager, Browser, PDF reader with you. In that case you don’t need to worry about the machine which you will get in your new place. You are familiar with some platform, then you should carry them. 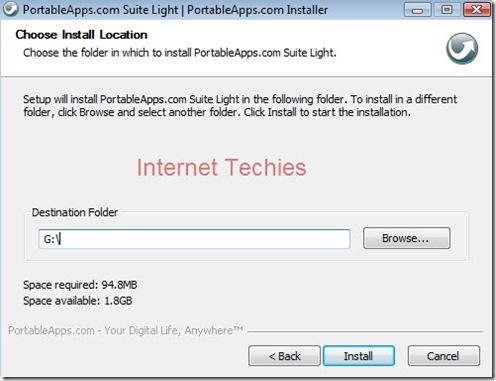 You can install any other portable software in your flash drive using PortableApps. 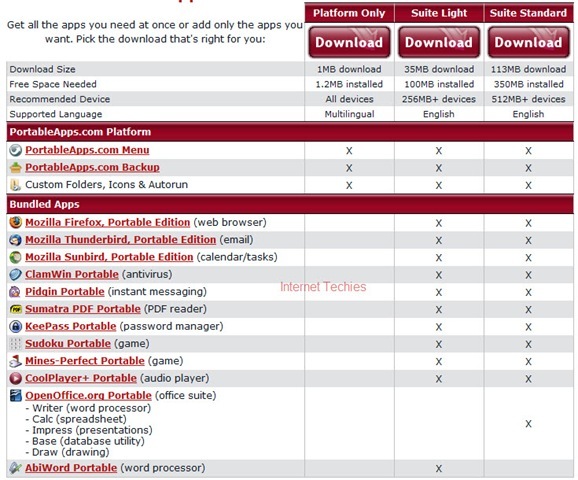 It will automatically add that software in the PortableApps menu. Click on the Install button and wait for the installation to complete. It will take around 4 minutes (in case of light bundle) to get completed. You can see the space required as 94.8MB for Light suite, it means you should go for the light suite only if you are having a flash drive with more than 256MB space. Once the installation get completed, the pop-up menu mentioned at the start of the post will appear which will have the menu of the software installed in your portable flash drive. Now you can carry the portable software with yourself in a that flash drive. 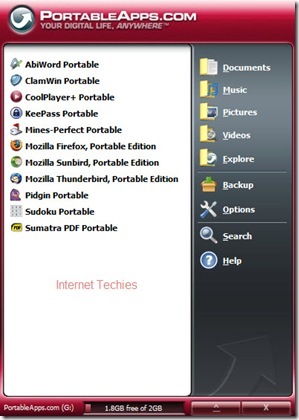 The PortableApps.com Menu can automatically add applications in PortableApps.com Format. Just download the file you’d like to add (like FileZilla Portable, Chrome Portable for instance). 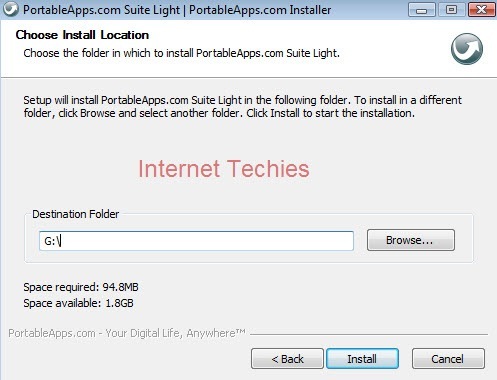 Then, in PortableApps.com Menu, click Options – Add a New App – Install and then select the Chrome Portable .paf.exe file you just downloaded. 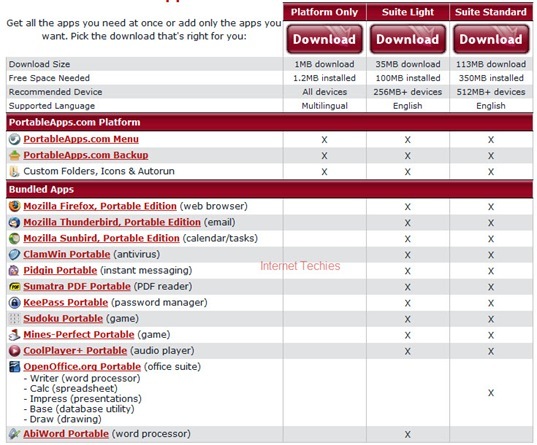 The PortableApps.com Menu will automatically install it to the proper location for you. That’s all and your flash drive is now more powerful and bundled. 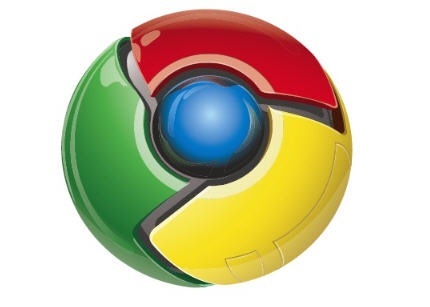 You can use chrome like software on any machine to get the fast access to the internet or carry your own password manager to anywhere. 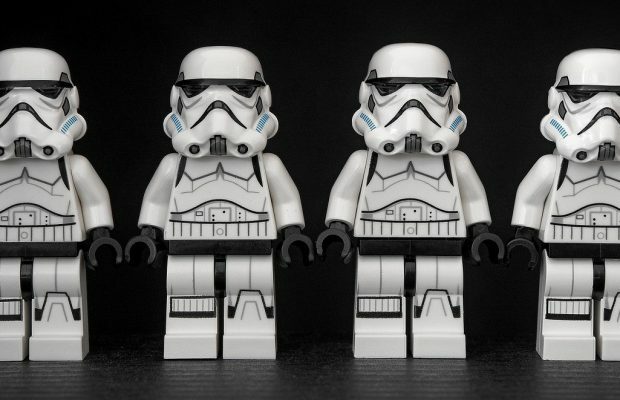 This will help you in making a good impression on a presentation day when you will use your own software to explain the things in a better way. If you liked the above post then let us know your feedback thru the comments. You can get the regular updates from Internet Techies by subscribing for RSS feeds. Shout on your blog about this post.